The McGill Institute for the Study of Canada supports an active research environment, and organizes a variety of large-scale, public events on matters of interest to Canadians. Join us for the Winter 2019 Mallory Lecture at the McGill Faculty Club on April 3rd at 5PM. Join us at the McGill Faculty Club on March 26th at 5PM. Didn't have a chance to join us for last week's conference? Clips of the panels coming soon. Final report: "Who Pays for Canada?" 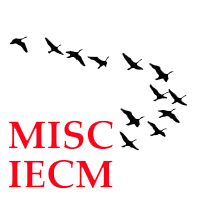 In February 2018, MISC held its 23rd annual conference and explored what “tax fairness” truly means. To summarize the conference, a report was prepared by Olivier Jacques, Department of Political Science at McGill University.